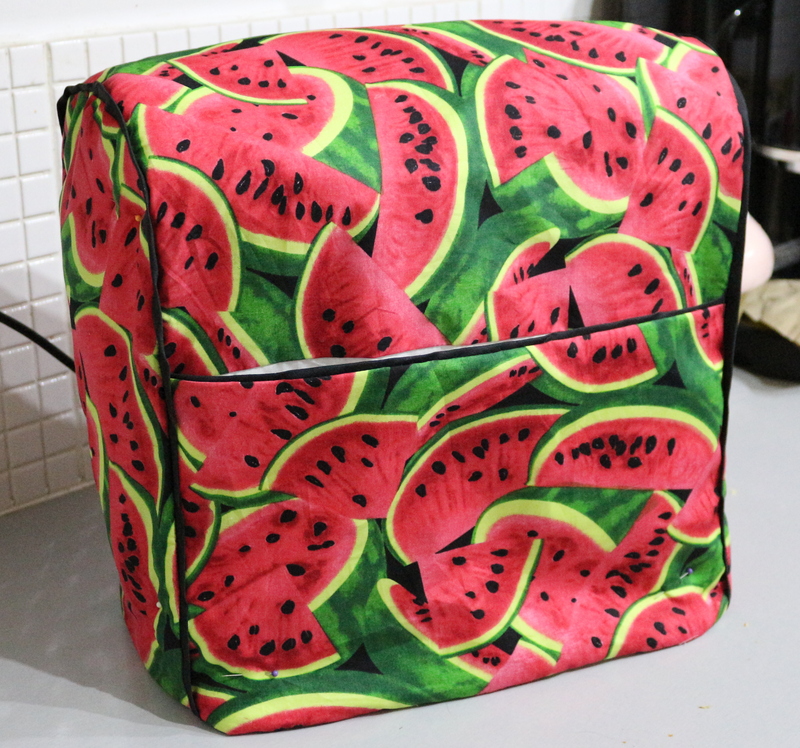 A cover for my Kitchenaid! So this is the project I was going to make on Saturday before I got distracted by the arrival of cross stitching fabric, threads, Numb3rs, and James Bond. 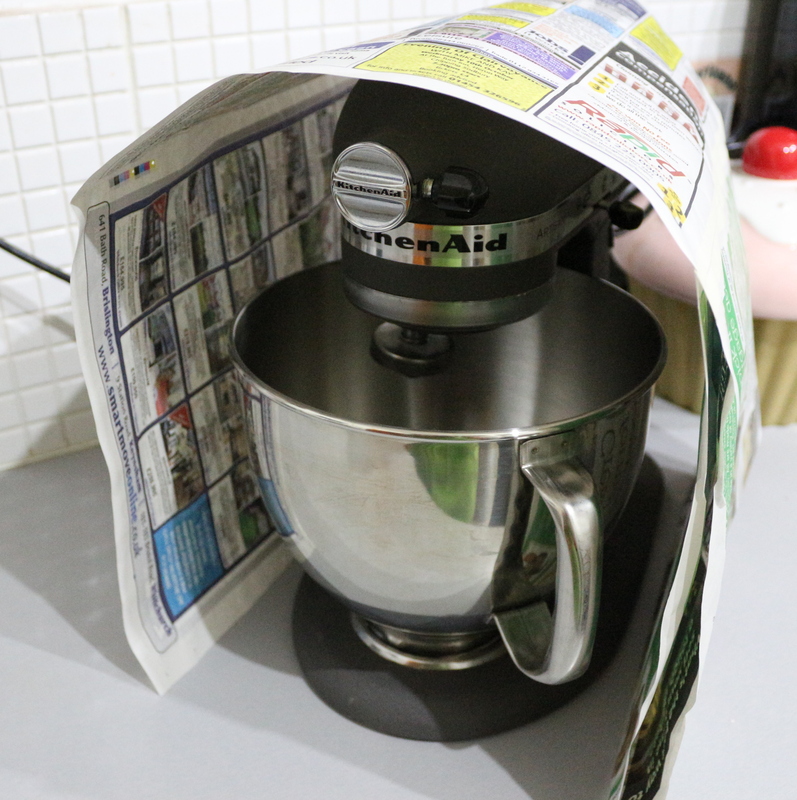 My poor Kitchenaid (Kenneth, he’s big and strong and manly) when not in use lives, shamefully enough, in a reusable bag. Poor Kenneth. 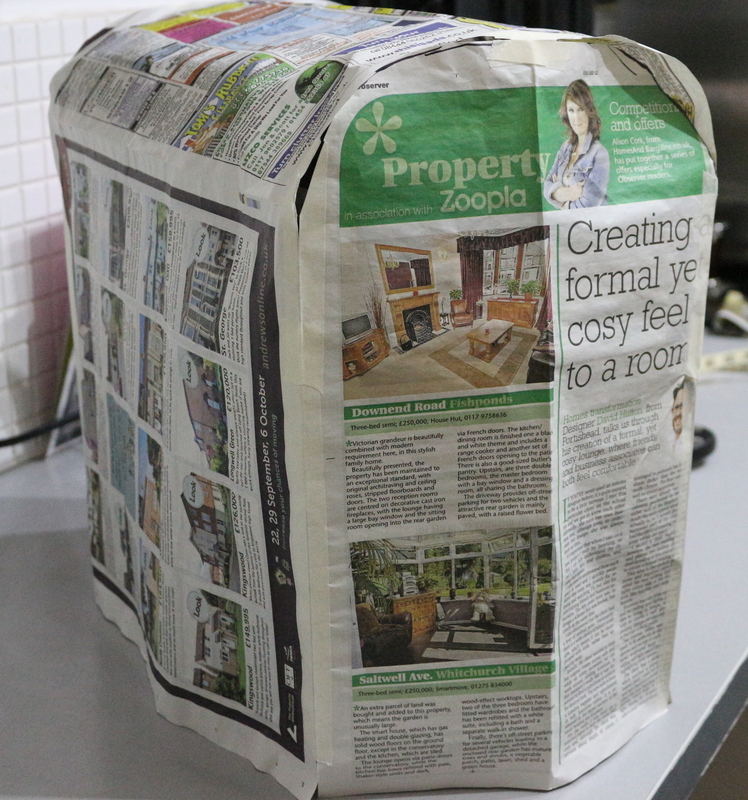 So I decided a long while back that I needed to make a cover for it to keep it dust free and clean! 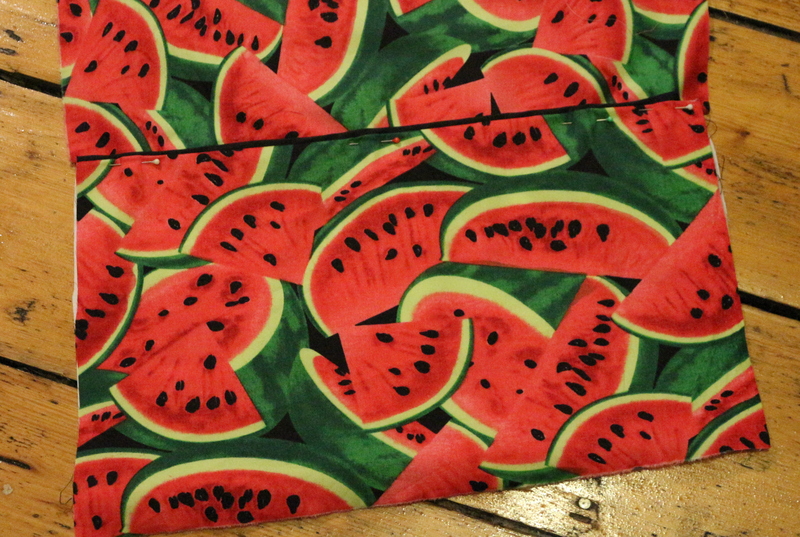 I totally couldn’t resist this Watermelon print, it’s so bright and fun! 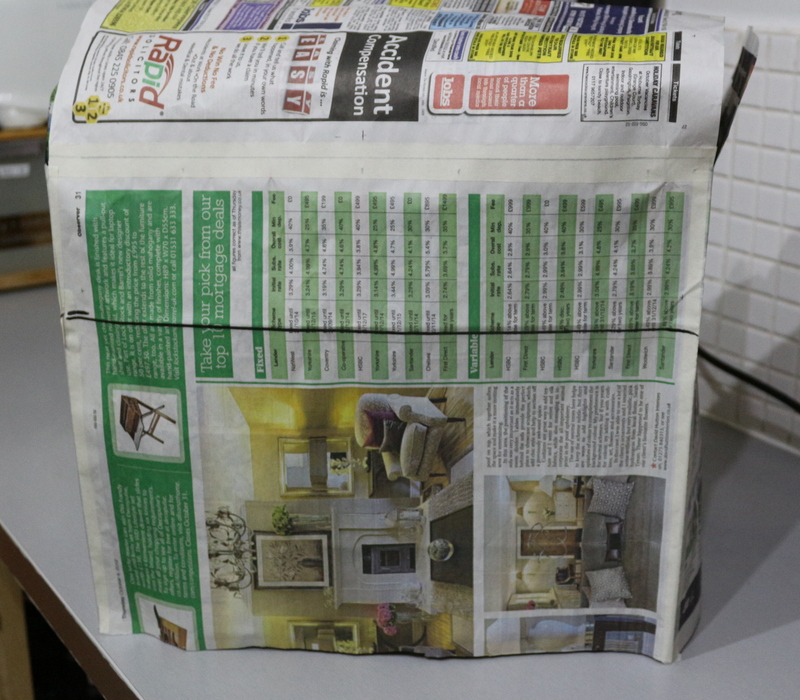 Also, as it turns out it co-ordinates quite well with our black Kitchenaid Espresso machine, Coffee grinder, Food processor…… But this was unintentional! I just didn’t think that far ahead! 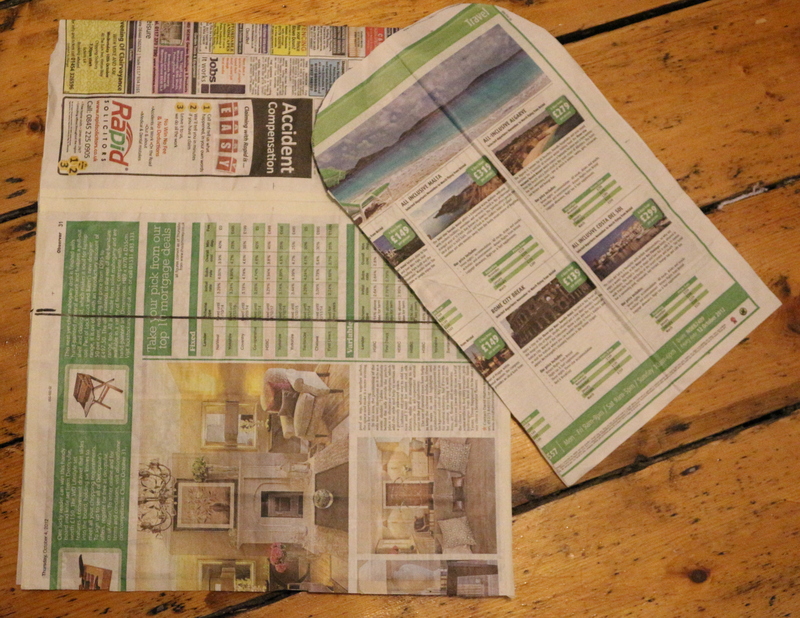 Once I was happy with the size and shape… I then took it apart and separated it into pieces. 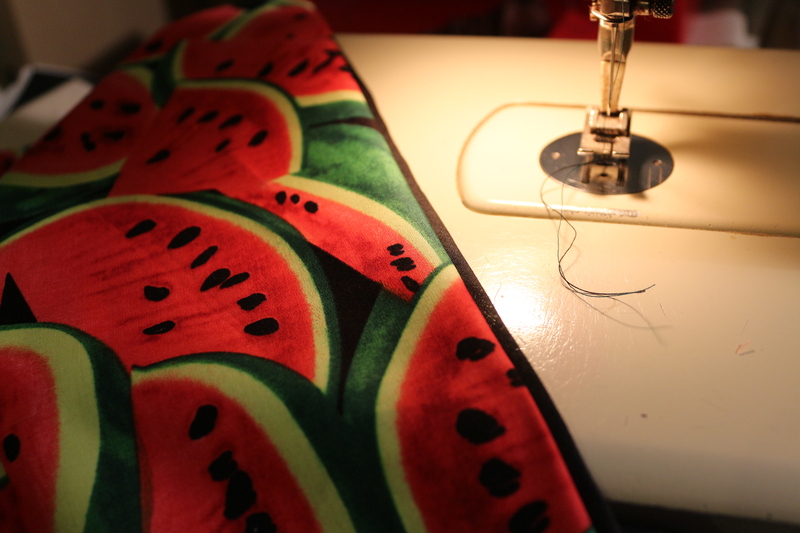 I used some more black binding as trim when sewing the side panels on (just right sides together, pinned, sewn, trim + clip curves), and to form the lining, I zigzagged the wadding to the lining fabric, then sewed the side panels to the front/back. 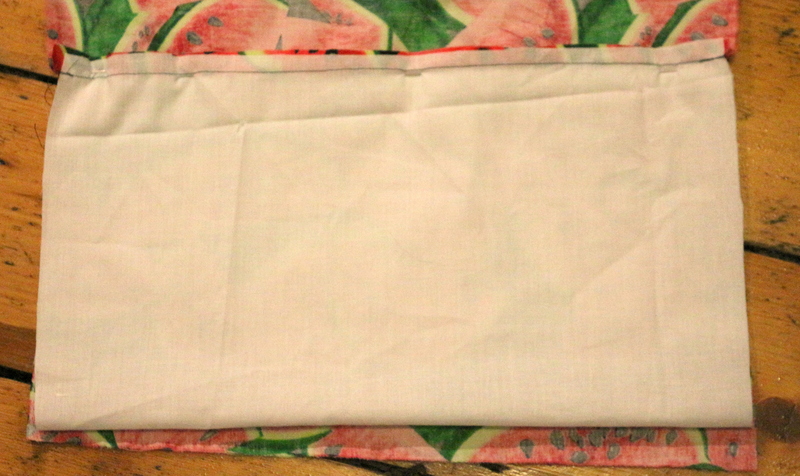 I then lined the outer and inner pieces up, right sides together, and sewed them together, leaving a gap in the seam of the lining so that I could turn it back the right way round…..
Yeah…. 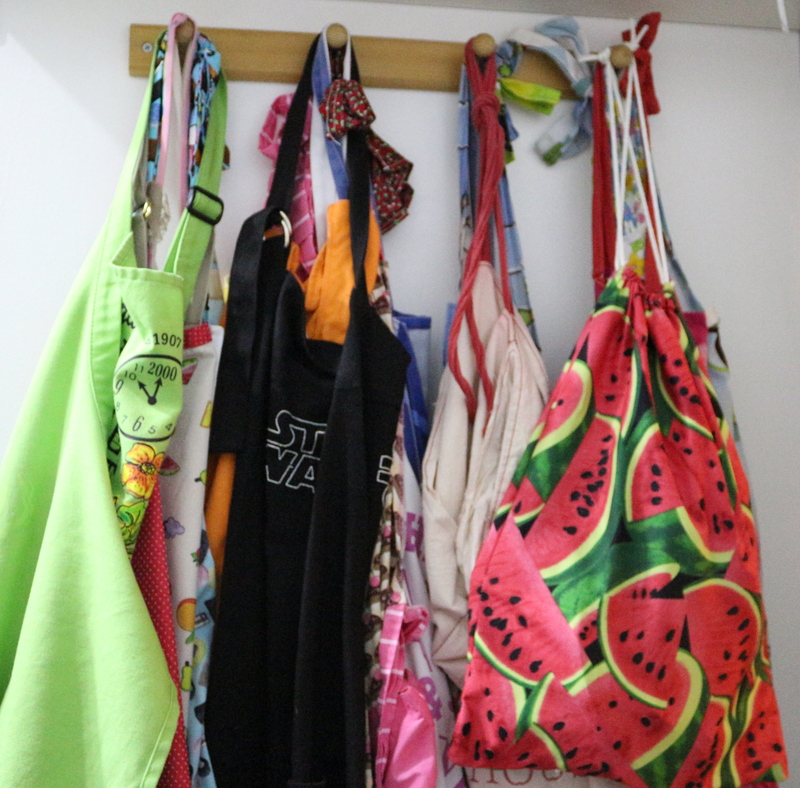 I have a lot of aprons……. Peter thinks this is fantastic:) he would like one for his Kitchenmaid. It wasn’t too difficult to make. Perhaps I will try to fine tune it for another. Alas, in my kitchen that would not keep them free of dust or cat hair. 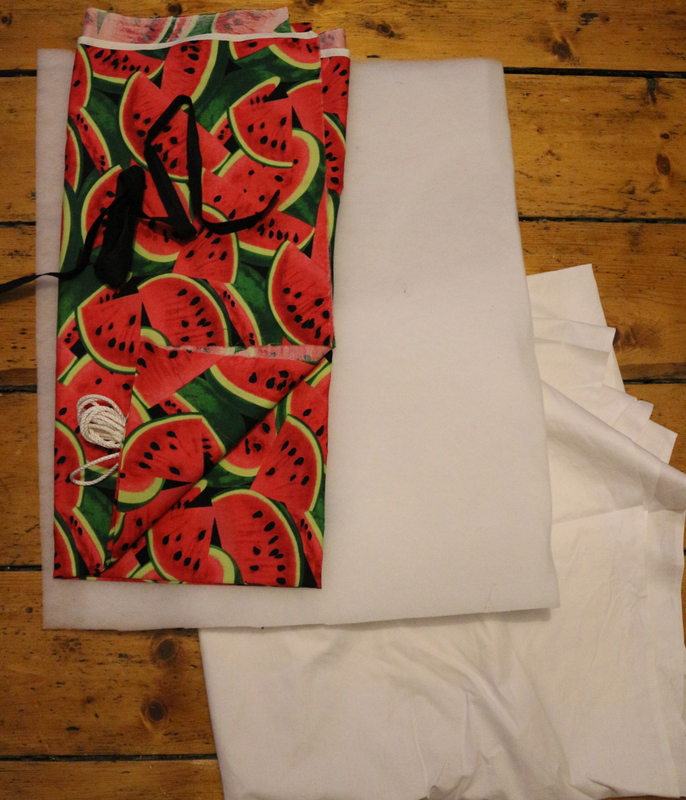 I keep the majority of my attachments in the matching bag I made, hung up with my aprons. The one I use most often (flex beater) I keep in the bowl safely under the cover!